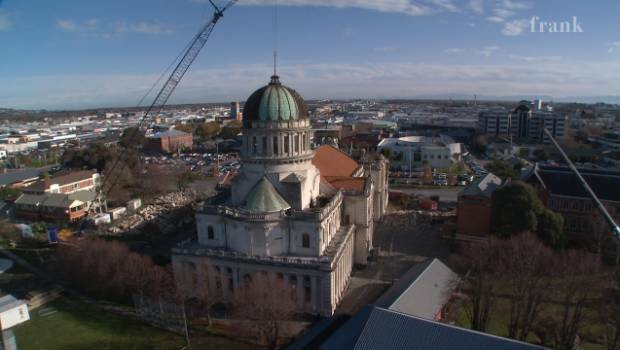 Christchurch's Catholic basilica was set to be restored after the earthquakes, but word is a new bishop will opt for a new cathedral in a prime, central city location. 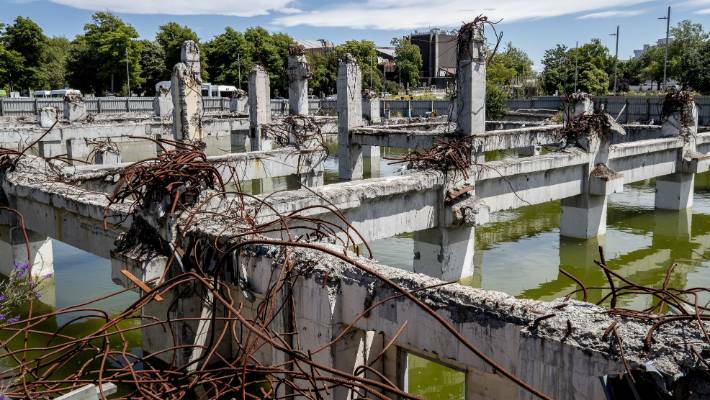 Christchurch mayor Lianne Dalziel will not give a view on the future of the earthquake-damaged Catholic cathedral, citing a conflict of interest. The Catholic diocese has confirmed it is in talks with property owners to build a new cathedral on an empty site bounded by Colombo St, Armagh St and Oxford Tce opposite Victoria Square. 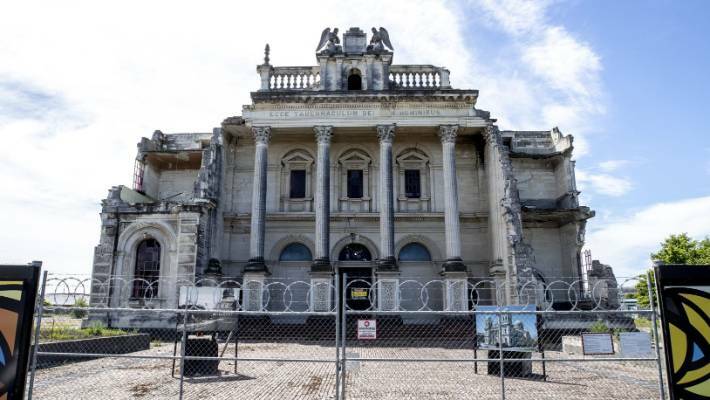 The church will decide in July on whether it will restore the earthquake-damaged Cathedral of the Blessed Sacrament on Barbadoes St for an estimated $105 million, build a new one on the same site, or build a new cathedral in the city centre. Catholic Bishop Paul Martin said in May that he was reconsidering the future of the earthquake damaged Cathedral of the Blessed Sacrament on Barbadoes St. The 113-year-old cathedral is a category one heritage building and heritage advocates have signalled a legal battle if the church opts for demolition. Dalziel, who supported the restoration of the Anglican Christ Church Cathedral, said she could not comment on the future of the Catholic cathedral as her sister was involved with the church. The empty site being considered by the Catholic church seen looking north across Armagh St.
"I've got a sister who is on the board of the Catholic cathedral, so I don't comment about that and I don't get involved in it," she said. 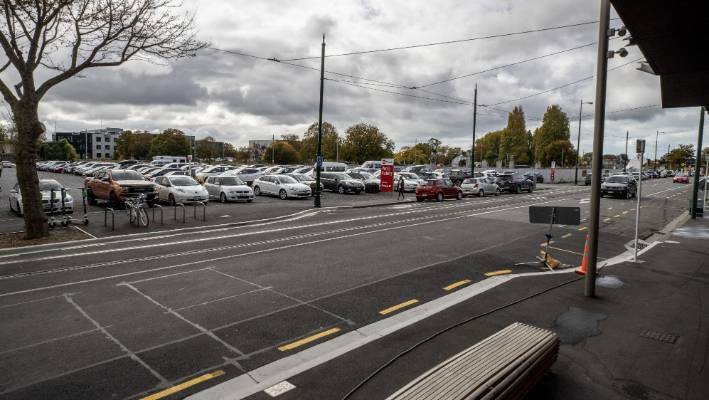 "I am not going to express a personal view as the mayor of Christchurch. I don't have the luxury of expressing a personal point of view. Since she is on the board I don't want to put her in a difficult position." The mayor recently recused herself from any council votes related to water bottling company Ocean Cloud Water because her husband's law firm represents the company. Dalziel would also not comment on the future of the performing arts precinct as another sister works at the Court Theatre. The Catholic church is considering demolition, restoration or a new cathedral on a new site. The city centre site being considered by the church is partly owned by landowner Philip Carter, Copthorne Hotels, and local business owner Andrew Everist. 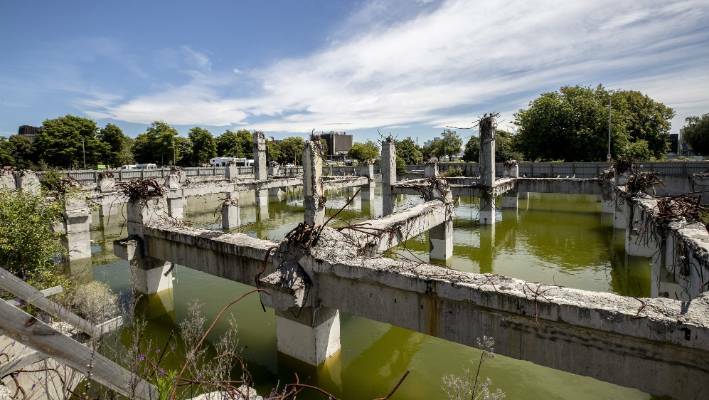 Christchurch City councillor Jamie Gough said he would prefer restoration for the Catholic cathedral. "People can appreciate that the Catholic cathedral was a truly stunning building. It was arguably even more aesthetically pleasing than the Anglican cathedral. It has real significance. The site is partly owned by landowner Philip Carter. "In some ways I would like to think they would be able to restore, but that is a decision for them." Gough did not think there would be significant community resistance if the Catholic church opted for demolition. "My feeling is that a lot of Christchurch is battled out," he said. The site being considered by the Catholic church includes the flooded foundations of the former PWC building. "There has been so much blood, sweat and tears that has gone into fighting the Anglican cathedral decision that I would be very surprised if there was pushback on that same scale." A spokesperson for the Catholic diocese confirmed they were in talks over the city centre site as part of the decision-making process. "This is part of the three options that they are looking at. They are all being considered," he said. "If all of a sudden it comes up that they can't build on Barbadoes St, they have to look at other options." The Catholic church was granted a section 38 notice in August 2015 in order to partially deconstruct the earthquake-damaged cathedral. Catholic Bishop Paul Martin said last year the cathedral could be demolished under the notice if it was deemed too expensive to restore. The church has a $30m insurance payout for the building, but would need to raise any funds beyond that. 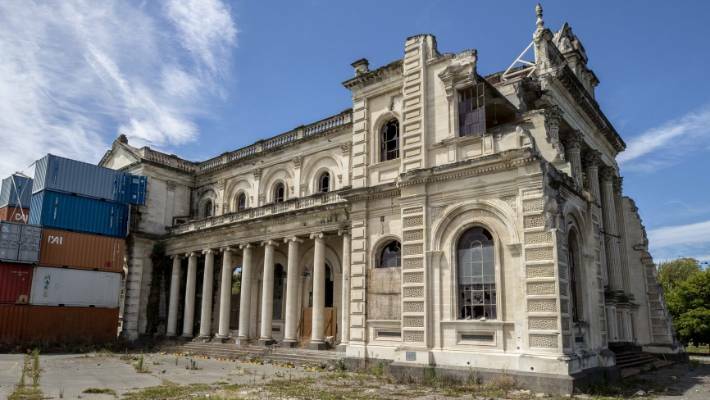 Christchurch Heritage Trust chairwoman Anna Crighton said she would help organise resistance to any demolition plan. "I think demolition under the section 38 notice could be challenged," she said. "That would be the only way that we could save the cathedral." Carter and Copthorne Hotels did not respond to calls for comment. Everist declined to confirm if he was in talks with the Catholic diocese.